Yarn Type SALE 50% OFF! A classic yarn with 30% wool that comes in modern fashion shades. Click Dk's eye-catching colours make dramatic looking fashion knits to wear in the city for every day style. Will knit to any DK Yarn pattern. Click Dk’s wool and acrylic blend is easy care and easy wear. Machine washable, wool cycle. 70% Acrylic, 30% Wool. 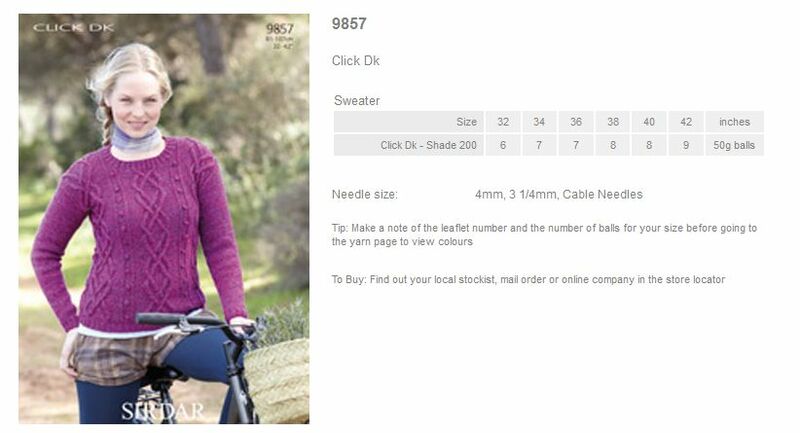 Leaflet with designs for a Sweater using Sirdar Click DK. 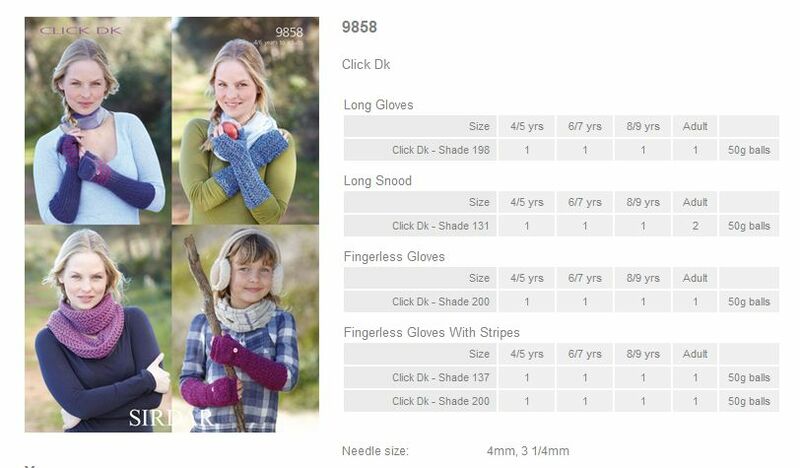 Leaflet with designs for a Long gloves, Long Snood, Fingerless Gloves and Gloves with Stripes using Sirdar Click DK. Leaflet with designs for a Hooded Cardigan using Sirdar Click DK. Leaflet with designs for 2 Sweaters using Sirdar Click DK. Leaflet with a design for a Waterfall Jacket using Sirdar Click DK.